A handy gutter cleaning kit for Husqvarna's 125B & 125BVX petrol blowers. Designed to be compatible with the 125B and 125BVX, this gutter cleaning kit uses your blower's airflow to remove debris and leaves. This works particularly well once the leaves have been allowed to dry. 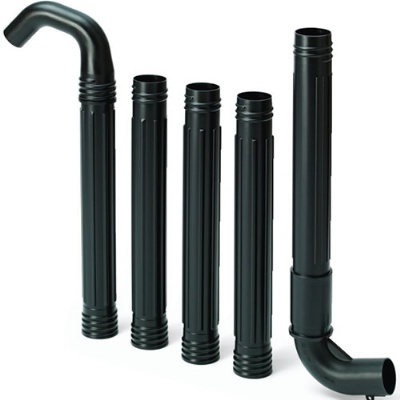 A total tube length of three metres provides excellent reach, so you can clear the gutters of lower buildings without difficulty. 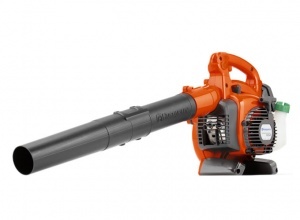 Husqvarna's 28 cc leaf blower weighs less than 5 kg, and as a result is supremely comfortable to work with. It is well-balanced and combines high power with user friendliness. Providing the ultimate versatility for your lawn, this model comes with a vacuum kit included, as well as flat and round nozzle attachments, making it a great leaf blower for domestic users.